「Featured Post」～持田真樹～♥ | モーニングBerryz48…the morning after….. "Always wear protection before reading…(^q^)." In light of the the new series “「TGIF!」Idol♥’s unzipped on way back Fridays” I thought I thought it a good thing to spread more Mochida♥Maki ~♥~…+ I’ve added more content =). 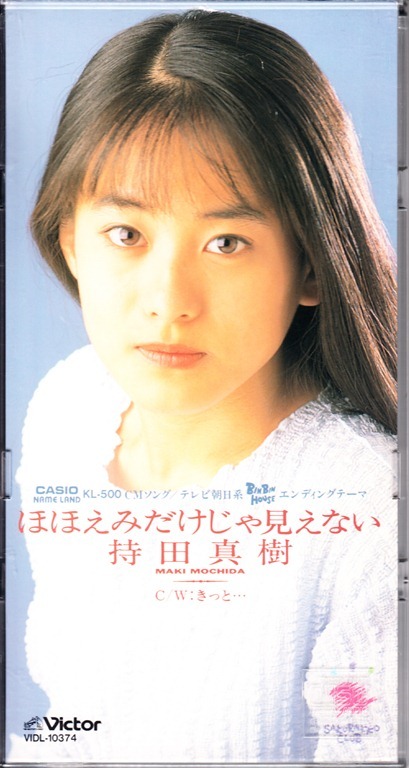 One of the first J-Pop artist’ voices that I fell in love with belongs to Mochida Maki and after some pleading with a friend awhile back she gave me a promotional copy of her debut album titled “Haru Natsu Aki Fuyu” which stands for the four seasons “Spring Summer Fall Winter” respectfully. This is also one if not the very first-first pressing versions of a Japanese album release that I ever acquired and for that simple reason it holds a special sentimental value for me. If you’re like me you’ve pretty much only dreamed~*of seeing Mochida Maki perform any song at all live and this one comes courtesy of Zdorama (a special thank you~* for this evening of nostalgia: also see two posts below =) ) who was wonderful to record this very rare t.v. performance =)!! This is at the very least a third generation copy through VHS but for every ounce of video fuzziness it entails, it so makes up for it and then some for just it’s pure~♥ awesomeness!!!! You know, just to see Mochida Maki live and sing such a catchy♥ song ヽ(。´▽`。)ノ。。！！♥～♥～♥～！！（Now gushing again．．．）(*´∀｀) うれしー♥♥♥！I sense a bit of nervousness in her voice but she still did great!!! ~”Sono mama de ii wa~field no suna” has a nice subtle touch of traditional Japanese folk music written into it!…most notable during the chorus portions in the background and I especially love the verses where the delicate touch of her vocals really shine~. Being that just about all of Mochida Maki’s releases are out of print =( and can’t be ordered any longer I’ve included the majority of her music discography in this single post =). 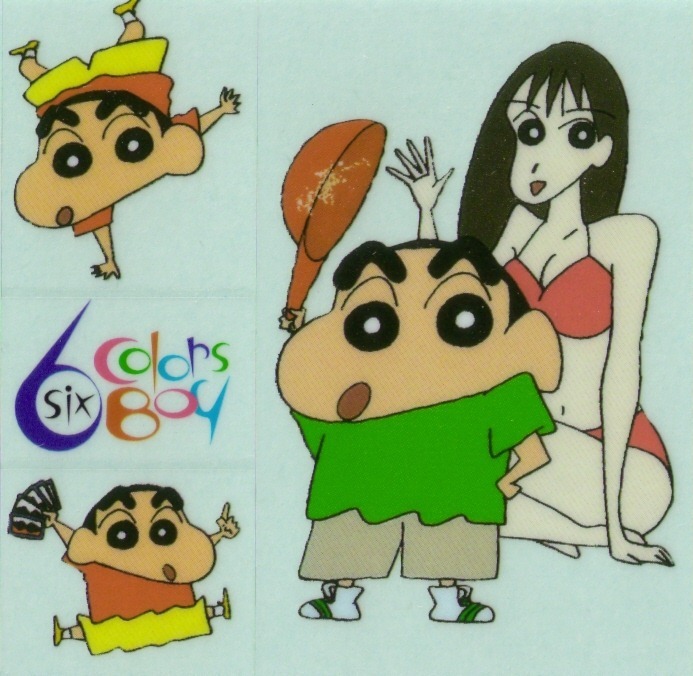 The always funny and outrageous “Crayon Shinchan” anime t.v. series features a number of opening and closing themes…this being my absolute favorite closing theme which the show used awhile back. “Crayon Shinchan” can sort of be described as the “Dennis the Menace” of Japanese animation only a bit more on the wild side! We used to get this show regularly here in Hawaii on a local station awhile ago but sadly they’ve stopped broadcasting this really amusing series and I wish they’d bring it back! 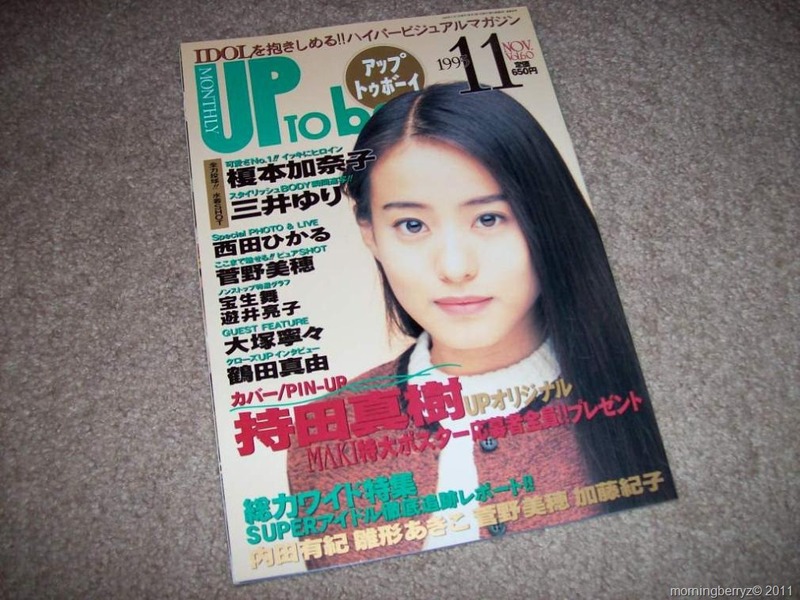 Mochida Maki was also featured on the cover of the November 1995 issue of UTB which included a poster pin up as well as a 6 page article on her……article will appear in an upcoming 「TGIF!」Idol♥’s unzipped on way back Fridays post =). The animation is of an older style but the storytelling is well paced, heartfelt…a bit wonderfully creepy too, and will hold the viewer’s interest and these two features have quite a short running time of just under an hour each. 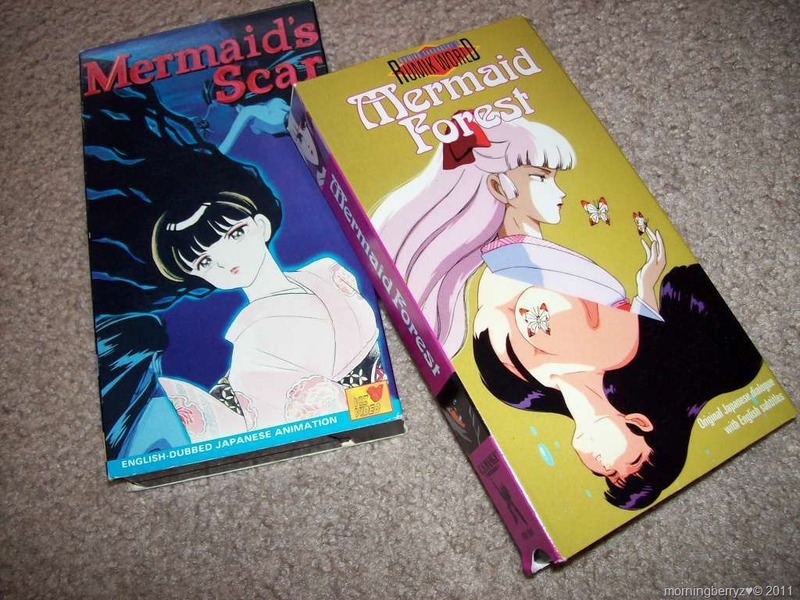 The ending theme song “Beads of Tears” is sung by Mochida Maki and I’ll never forget the day that my friend was playing it and I knew the song from the anime “Mermaid’s Scar” :O! Am I alone or am I not? On that day you held me in your arms but was it confusion? Was it an answer? Your voice is calling to me why can’t I hear you? Why aren’t you near me? The prayers of our eternal years all disappear. Mochida Maki’s first press “The Story of Pandora” photo booklet which was included with her first album “Haru Natsu Aki Fuyu” remains as one of the more unusual extras I’ve encountered for any J~pop release as the ideals and storytelling have seemingly no connection to her album release and perhaps it was just a fun way to incorporate an extra photo shoot to be included I wonder =)? In any case it’s beautifully shot with an artistic approach and I so love the use of black and white for these!!!….. “Hohoemi dakeja mienai” is Mochida Maki’s 3rd single which was released on July 21st, 1993 and this single was bit difficult to find as it was the furthest back that I could backtrack in my efforts to acquire her catalog of releases….it’s always really a feat that one faces when you suddenly find an artist/group that you really begin to love only to find out that they’re older releases are no longer available through retailers so of course the best places to search are Yahoo! Japan Auctions, eBay, or used online record stores such as Otokichi Premium. I’d categorize this song as a *lively* folk/rock song~♥. 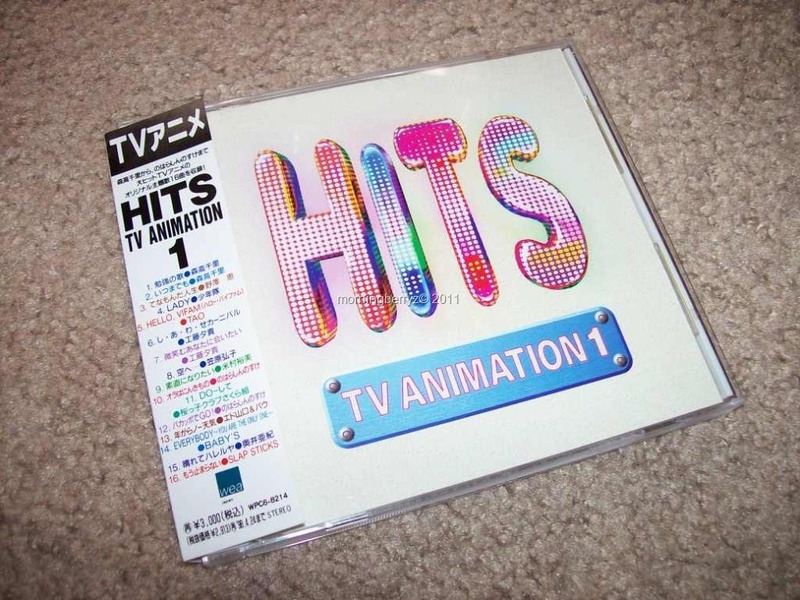 “Itsudatte itsudatte” was released on February 22nd, 1995. 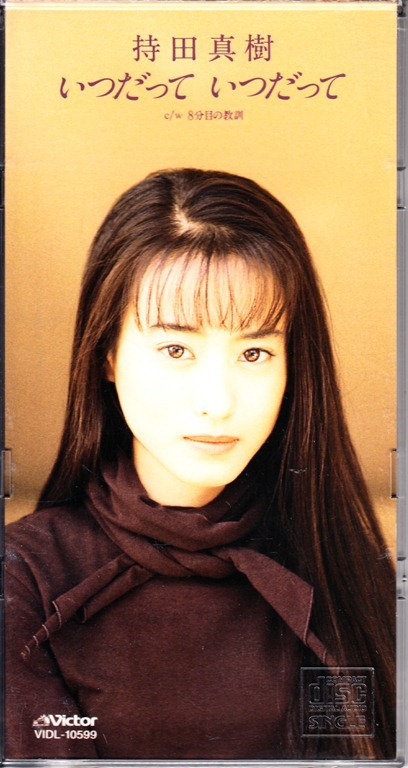 “Anata no yuuki ni naritai” was released on September 6th, 1995. 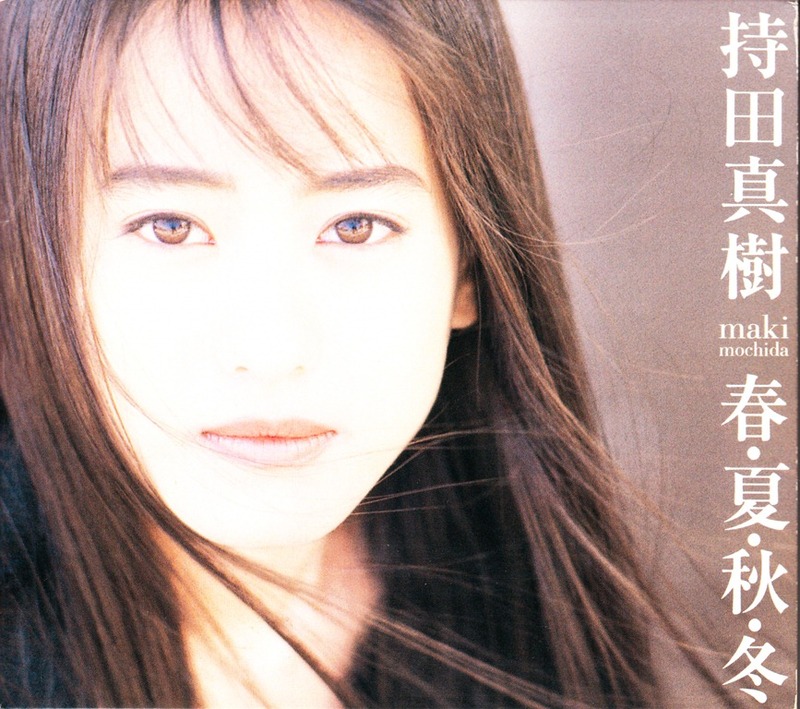 “Aitai kimochi de zutto” was released on March 23rd, 1996. “Tabidachi no uta” was released on May 22nd, 1996. “Tears~Itoshisa afurete~” was released on June 21st, 1997. 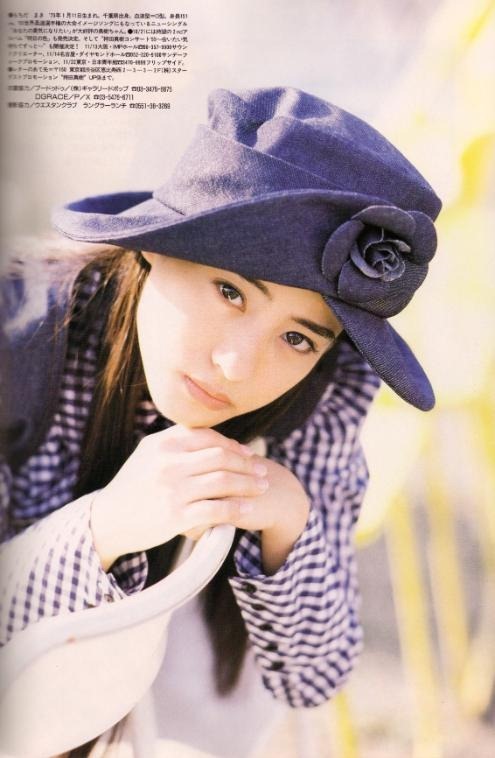 “Haru Natsu Aki Fuyu” was released on March 24th, 1995. A wonderful thing about Mochida Maki’s albums is that only three tracks were previously released as singles making for many many new songs~. Her album track “Sono mamade ii wa~field no suna” was also the theme of a 18 minute short film which I was able to find the video of and while watching this is when I realized just how tiny she is…so cute! Sadly it’s another release which hasn’t been re~released onto DVD so I’m yet to find a way to transfer it along with many other VHS only releases to DVD or a digital file format =/. “Popular no ki no shita de” (“Under the popular tree”) has sort of a larger than life guitar orchestrated aura to it, and when coupled with Maki’s oh so gentle vocals the contrast creates a very *moving* dynamic~. “Suna ni kieteku natsu” has a nostalgic musical arrangement which is also flavored nicely with the distinctly wonderful sound of a sitar….simply a most infectious melody♪♪~! “Afternoon Tea” has a wonderful ambiance about it that always puts me in a happy mood! It has such a wonderfully soothing melody as is perfect for any time of the day!…not just tea time! It’s a really really well written song with so many hooks~♥ and one of the very best songs on the album easily! “Kisetsu no closet” is the second to the last track on Mochida Maki’s second album “Ashita no iro” and in some ways I’ve always imagined it as a much more suitable closing track for the album and while I’m not sure if you’ll understand what I mean by this I’m sure you’ll find it to be a very heartfelt♥ song!! Hmmm…I think I tend to play this song more than any other song of hers as it’s just such a catchy~♥ and beautiful composition. 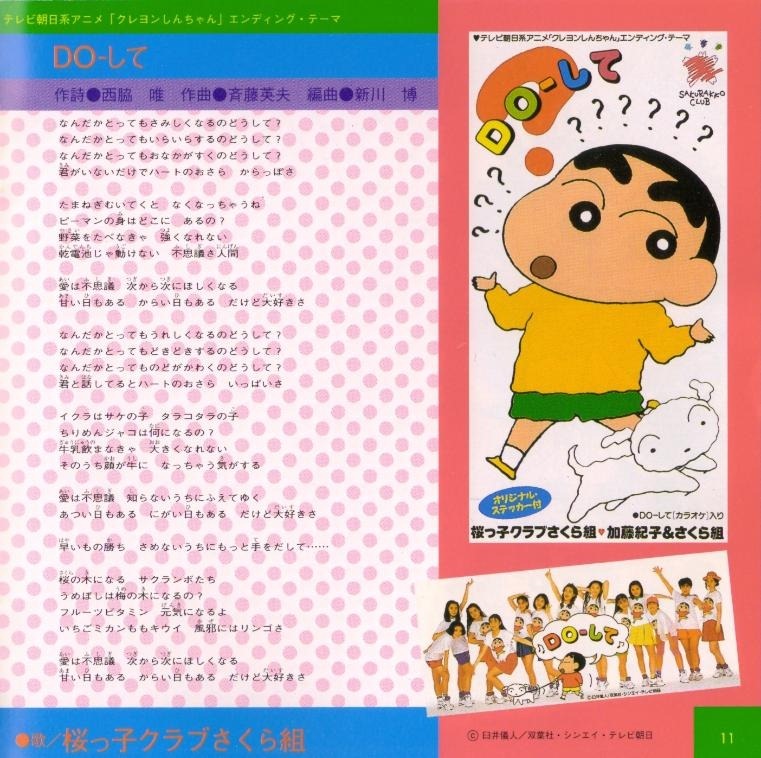 This entry was posted in Featured, J~Pop and tagged ashita no iro, crayon shinchan, do-shite, haru natsu aki fuyu, j-pop, mochida maki, sakurakko club sakuragumi. Bookmark the permalink. Pingback: ~「TGIF!」Idol♥’s unzipped on way back Fridays~ (volume 7) | モーニングBerryz48…the morning after….. "Always wear protection before reading…(^q^)." Pingback: ~「TGIF!」Idol♥’s unzipped on way back Fridays (Volume 38)~ | モーニングBerryz48…the morning after….. "Always wear protection before reading…(^q^)." I was just reading your other comment and I’m so overjoyed that you’re getting Mochida Maki’s album “Haru Natsu Aki Fuyu!! !” You’re going to so love her voice even more the more you listen! I’m sure of it! And of course the song writing she enjoyed was amazing too.